Where will your urn be 5, 10, or 50 years from now? For families that choose cremation, Cheatham Hill Memorial Park offers more cremation memorialization options that any other cemetery in Northern Georgia. 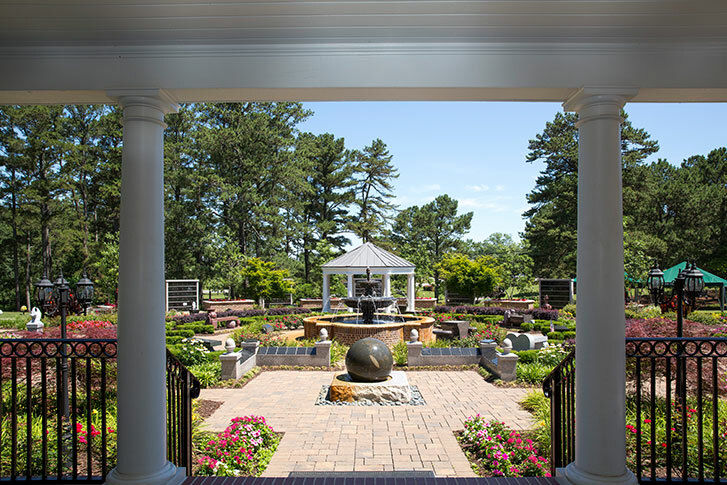 Our property features a stunning, professionally landscaped Cascading Waters Cremation Garden that contains a beautiful water fountain, trees, flowering bushes and flowers that attract bees and butterflies. Cremation niches (a place to hold an urn or urns) are located throughout the cremation garden in wall niches, post niche stands, statuary, and benches. The cremation garden, complete with walking paths, is located directly in front of the funeral home. Our Columbarium houses unique glass-front niches in an indoor setting and is the only building of its kind in Georgia. Single and Companion (holding two urns) niches are available and can be decorated by family and friends to create a lasting legacy for your loved one. 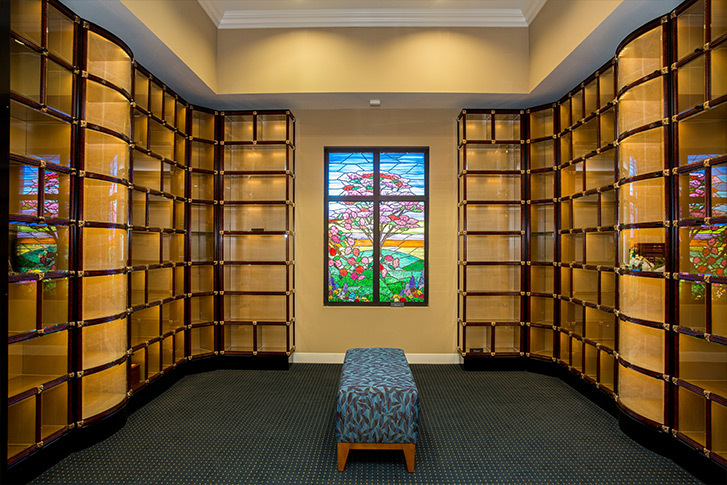 The Columbarium features three customized stained glass windows and a large chapel that can be used for funeral or memorial services. Cheatham Hill Memorial Park and all its memorial options are guaranteed to be well kept in the future as the property is a Perpetual Care cemetery. Please call (770) 424-1111 to schedule a tour of our grounds and facilities and learn more about the benefits of Perpetual Care. 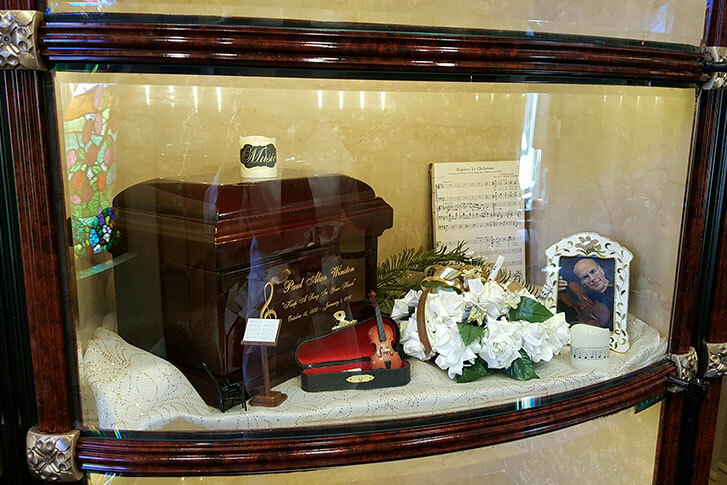 This picture shows a glass-front niche in our Columbarium that has been decorated by family members in tribute of their loved ones. Both companion (holding two urns) and single niches are available.